When Joe Carroll's wife was diagnosed with multiple sclerosis (MS) a few years ago, the family never thought they might have to sell their farm to pay nursing home bills. Today he is protesting outside the Department of Health with the Irish Farmers' Association (IFA) to highlight what he says is a huge injustice to farmers in the Fair Deal nursing home scheme. "I've always paid my bills. More than that, when we had good years milking cows, I made sure to have some savings. They were to help my other two children, the ones not getting the farm." Now, the Offaly farmer says none of his children will be left with much as he pays thousands of euro every month in nursing home bills for his wife. Jane was diagnosed with MS in 2013 and Joe tried to look after her at home, but it became too much and four years ago the family made the decision she would be better off in a nursing home. Now Joe is paying over €20,000 a year in nursing homes fees and says his savings will soon be gone. "Then we face a sign being put up outside the farm to pay the fees," he said. Unless legislation is changed soon to allow a three-year cap on farm assets, Joe says there may not be a farm to leave his son as promised. "I was saving my whole life on the farm and for the family. There was not that much savings and it is just dwindling away and now there may be no farm left either." 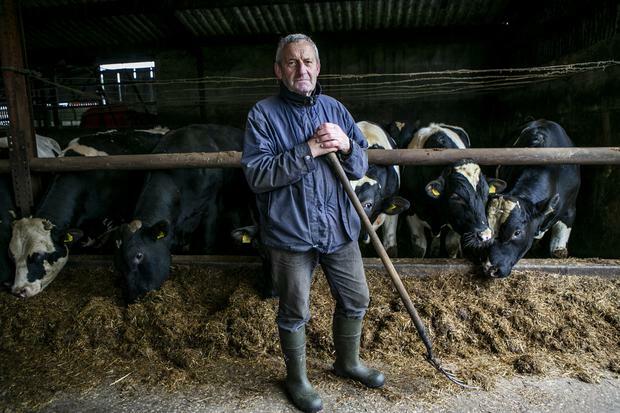 After surviving prostate cancer 13 years ago, Joe gave up dairy farming and relies on a drystock income on the 70-acre farm near Kilcormac. "Finance is terribly stressful but you have to be positive. I couldn't manage without the kindness of others," he said. "I've always been able to pay. Now I'm dependent on the generosity of others, but that debt is always in the background."